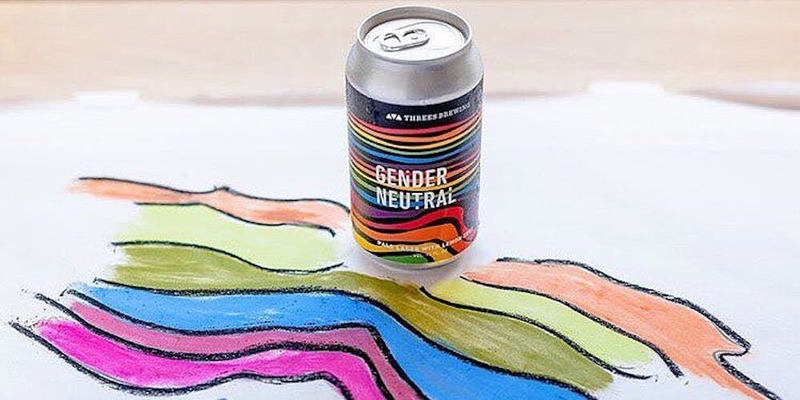 Threes Brewing — a beer brewery in Brooklyn, New York — recently announced the release of a “gender neutral beer” called (get this) Gender Neutral. The brewery says this queer beer bears its name as a way to highlight gender issues in LGBTQ and American politics. This is the second year in a row the brewer has released the beverage to commemorate Pride month. The queer beer is reportedly “a light, pale lager made from pilsner malt, a floral varietal of hops from New Zealand known as Wakatu and lemon zest.” Also, 10% of its sale proceeds go towards the Anti-Violence Project, a New York City-based organization that works with LGBTQ and HIV-affected communities to address all forms of violence through organizing, education and support. Threes Brewing will celebrate the re-release of Gender Neutral beer with a kickoff event featuring live music on Sunday, June 3 at its Gowanus location with a second party on Friday, June 8 at its Greenpoint location (both in Brooklyn). Interestingly enough, this isn’t the first time a company has come up with the idea of marketing a queer beer. In 1991, Saturday Night Live laughed at the idea through a parody commercial for a beer called Schmitts Gay. In it, Adam Sandler and Chris Farley turn Sandler’s dull housesitting gig into a man-tastic poolside party, all with the help of some hunky men and longnecks. In the real world, a Mexican brewery called Minerva pushed its Purple Hand Beer (called Salamandra in Mexico) in March 2011, touting it as the first-ever “queer beer” in the world. 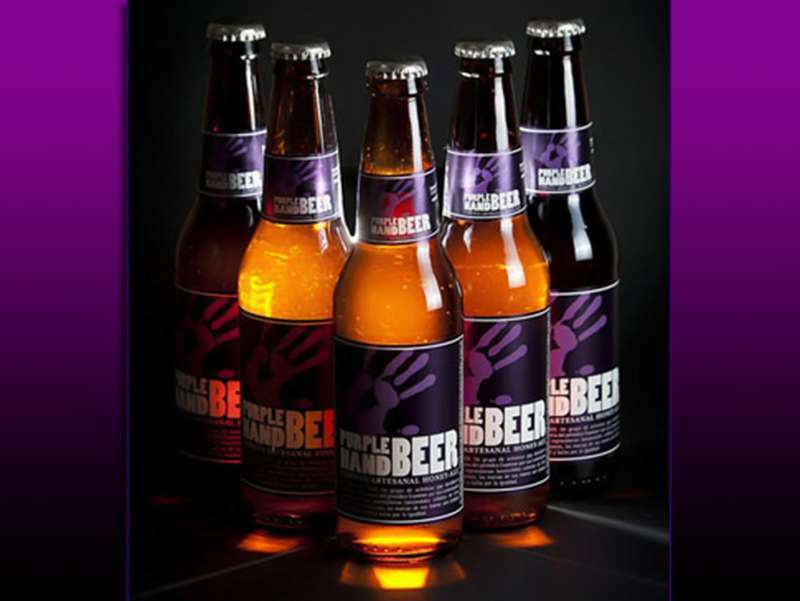 On a more interesting, somewhat less pandering note, Wyler mentioned that the name of the beer was actually a reference to the 1969 “Friday of the Purple Hand” protests in San Francisco. Basically, on Halloween night 1969, members of Gay Liberation Front (GLF) and Society for Individual Rights (SIR) protested outside the offices of the San Francisco Examiner for publishing the names and addresses of gay people arrested during police raids on gay bars and cruising areas. When newspaper employees on the rooftop poured printer ink onto the protestors, the protestors wrote “Gay Power” and left their purple handprints on the building. Local police then came in and beat the crap out of the gay protestors. 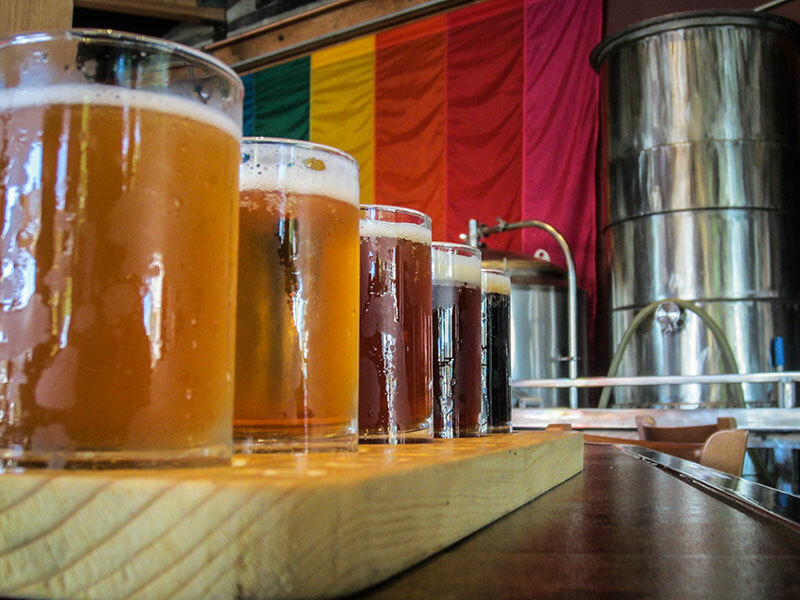 Hillcrest Brewery is gay-owned and operated, most of its staff identifies as LGBT and it serves up beer with innuendo-filled names like Crotch Rocket, Banana Hammock and Pearl Necklace. The brewery is located in the middle of San Diego’s gayborhood — near the starting point for the city’s annual HIV Walk and Pride parade — and works with community organizations like the San Diego LGBT Community Center, Mama’s Kitchen (an organization that prepares and delivers food to people living with HIV) and the HIV-fundraiser Red Dress Party. Every year Hillcrest Brewery also creates a Red Ribbon Ale and releases it on World HIV Day with proceeds going to the Scripps HIV Research Center. 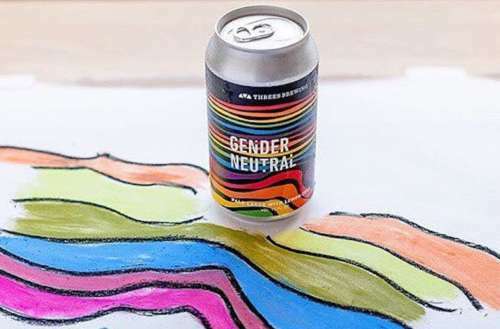 What do you think of Three Brewery’s Gender Neutral Beer? Would you drink a queer beer? Sound off in the comments.